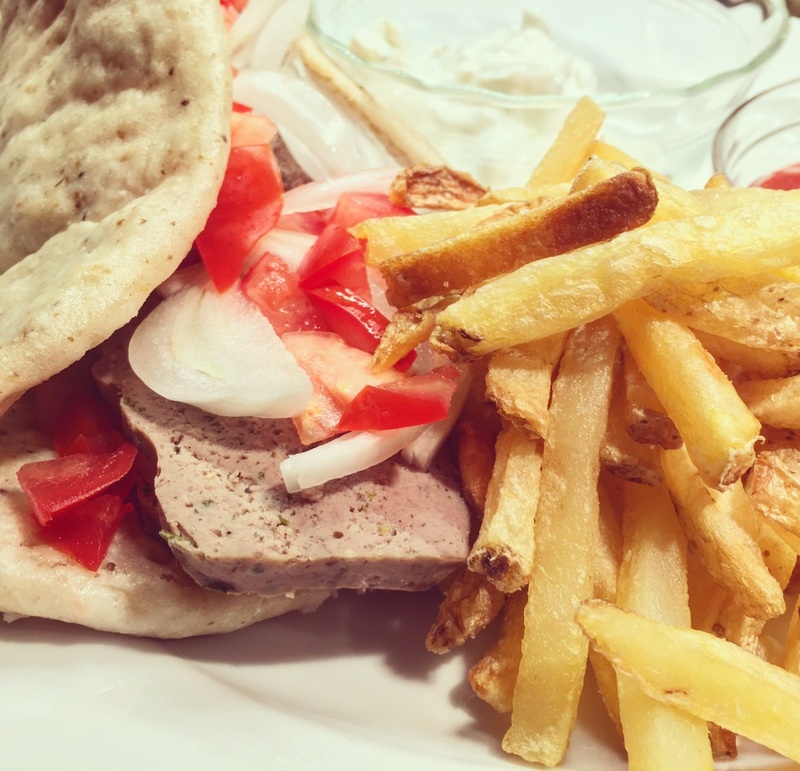 Let's talk about FOOD! I love food. I mean, I really LOVE food! I love cooking it and eating it and I even love reading books about food. Food. Is. Awesome. As you may know, these last few months have been insane in the most amazing of ways, but with the busyness of our lives, it's super easy to decide not to cook and just pick up take-out or eat something from a box a wee bit more than we should. I'm happy to report that has not been the case... thanks to Real Plans! 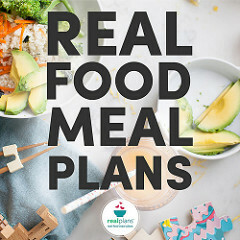 Real Plans is a subscription online meal planner offering a variety of options for dietary needs/restrictions that I discovered through one of my favorite foodies, Michelle Tam of Nom Nom Paleo and I've been using it ever since. 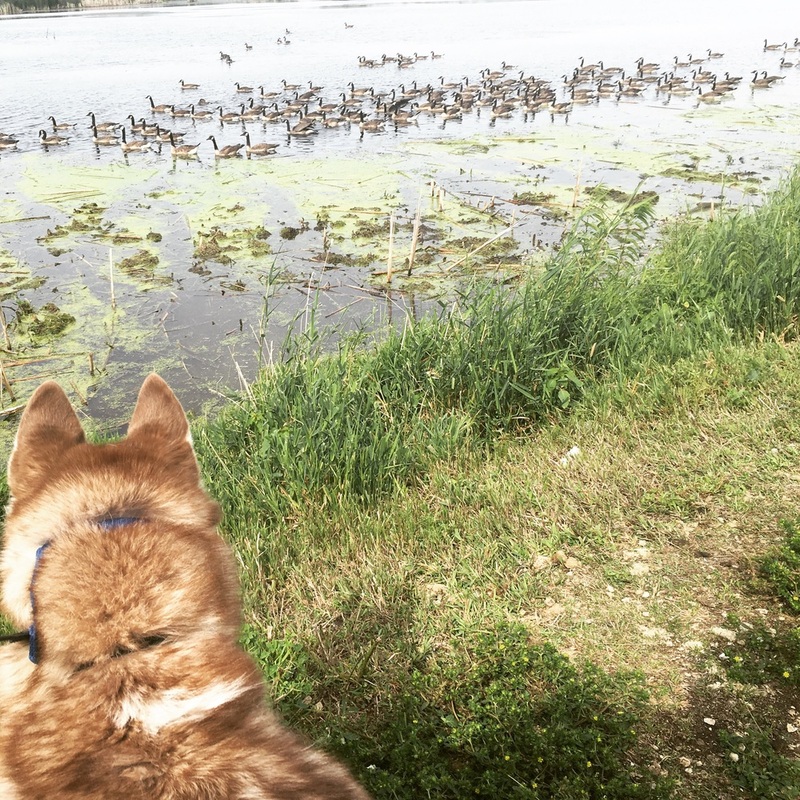 I was instantly in love, but I wanted to see if the love wore off over time. It's been more than 3 months now and I love Real Plans even more today! "REAL PLANS IS A MEAL PLANNER WITH SUPER POWERS." TRUE! I'm now spending a fraction of my previous planning time getting organized and cooking so much more for our family! Over the last 2+ years, cooking at home has become even more important for me with my celiac disease diagnosis, because in addition to it being rather difficult (and expensive) to dine out, we're also limited in options. I have yet to be bored with Real Plans and my 'to cook' list is growing weekly. I've always loved cooking. My mom is a wonderful cook and shared the joy of the kitchen with me at an early age. I honestly can't even remember how young I was, but I do remember feeling right at home in the kitchen and it's the same to this day. I love the flavors, colors and smells of fresh food and making something delicious from scratch is one of my favorite past times. I enjoy it so much, that many times I'm at a crossroads of knitting or cooking and cooking can win that contest. I love cooking THAT much! I also adore my cookbook collection (really, I'm a total sucker for pretty pictures of food and flipping through pages and putting on post-it notes), but getting organized for the week was time consuming and was expensive (really, I wanted everything) and I would much rather spend my available time actually cooking. But... I found that if I didn't spend the time planning, I'd toss whatever into the cart at the grocery store and so much of the food would go to waste over the next week because I lacked a plan. Now I spend about an hour each week planning things out and we're saving $ at the grocery store. Real Plans has paid for itself (and then some) with what we're saving. Wanna see how it works? So... now I feel like this is an infomercial, but seriously, this has changed my life and I'd only share if I believed in it and I wholeheartedly do - I believe in it so much that I'm an affiliate now. I'm also asked frequently about how I plan food out and I've been so happy with Real Plans that I HAVE to share the joy! In addition to a HUGE library of recipes that are built in, there are some amazing additions that are really reasonably priced, including: Nom Nom Paleo, Whole 30, Well Fed, Cookie & Kate and more! AND... (yes, this is where I say... "wait, there's more!") you can modify the existing recipes (ingredients, portion size...) and you can add your own recipes. The latter is very important to me because I find so many delicious recipes online and it's as simple as adding a url to the recipe box or clicking on the Real Plans Chrome extension to add it. It's so easy and quite fun. That's all the words I have for you today. I'm passionate about cooking at home and healthy eating and I hope I've inspired you to get organized and into your kitchen. Questions or comments? I'd love to hear from you, so please leave a comment below. It might be hard to believe, but my family has an annual Kraut Day. What is Kraut Day, you ask? It's the day that we get together with Mr. Yarnista's family and make sauerkraut. It's a really awesome thing. There was some debate at this year's gathering about what year this was and (thanks to my ridiculous skills for keeping track of things), 2016 marked the 6th Annual Kraut Day! Mr. Yarnista shows off his coordinated Port Huron Brewery attire and beer, while holding a 10lb head of cabbage (and this was one of the smaller ones). It's a day that we very much look forward to and, either others were simply curious or we made it sound like loads of fun, because this year, we had 18 family members attend! The OKT (Original Kraut Team) formed in 2012 with 5 members and has grown a bit each year, but the 18 attendees this year, made it clear that this really is a thing (or maybe we're just really popular). So, how do you make kraut, you ask? First you need a 5 gallon bucket, then you need cabbage, pickling salt, and a food processor. Oh, and beer. Kraut cannot be made without a beer in the hand. Optional items are: rubber gloves, carpet square (for the knees), and knee pads. Once you have all your supplies, you'll shred cabbage and begin layering cabbage and salt in your (super fancy) bucket. With each layer, you'll do a bit of smushing so the cabbage releases water. You'll continue repeating this layering process until your bucket is full'ish and then top it off with a bag of water to seal things up while the fermentation is in process. Kraut Day is early in October and the kraut should be ready for canning or freezing at the end of the year. It's SO good! See, it's all very fancy and scientific. If you want to try making your own sauerkraut, thekitchn.com has a recipe for a smaller batch in a mason jar - I realized that not everyone is crazy about kraut and "needs" a 5 gallon bucket of it. I love fermenting in small batches and currently have a jar of homemade kimchi in process - I tried a new recipe this time and I'll share that once I can test it out for taste. Do you ferment? If so, what's your favorite to make?